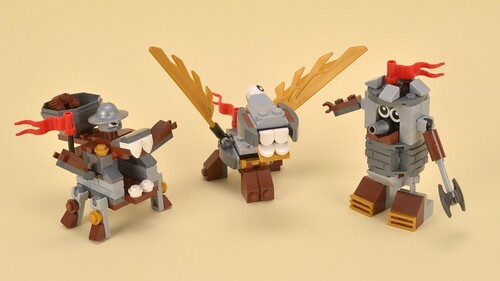 I personally haven't gotten any of the Mixels sets, but they seem a pretty cheap way of getting some interesting pieces, like those ball joints, the eyes, and now the rounded 1x1 tile. Anyway, one of the newest series is castle-themed. Brickset has a review of the Medivals. Has anyone here bought these? What are your thoughts? I got some from other series', very nice parts! I think there are some incredibly useful parts in these. I only wish there were more of these parts in them... Guess I'll have to buy a few.